Two families a week in the UK are told that their child has Duchenne muscular dystrophy (DMD), a devastating muscle wasting disease. We are an ambitious highly focused charity, investing millions of pounds in research right now to find treatments and a cure and to help this generation. The charity has been formed by the coming together of Joining Jack and Duchenne Children's Trust, the two biggest funders of research in the UK in the last three years. We are committed to continuing to drive momentum to deliver treatments to help this generation of those with DMD. Please visit our website at www.duchenneuk.org. Duchenne Muscular Dystrophy is a desperately cruel muscle wasting disease that mainly affects boys. It’s the most common fatal genetic disease to affect children. It is 100% fatal and boys die in their early 20s. There are no treatments and no cure. But thanks to recent breakthroughs and with your help, we can save them. There are lots of ways up can help us. Make a donation on this page, create your own event, or visit the campaigns and events sections to find out about our latest events - and then please join us. We often have charity places available for fundraisers, check out our fundraising event page. 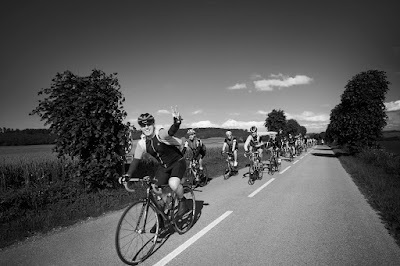 Every year we run the The Duchenne Dash, our own annual exciting and exhausting 24-hour cycle ride from London to Paris, which over the past 6 years has raised over £3,500,000!! Please contact events@duchenneuk.org if you are interested in taking a place in any of these events, or want to find out more. Thank you everyone for your continued and much-needed support.